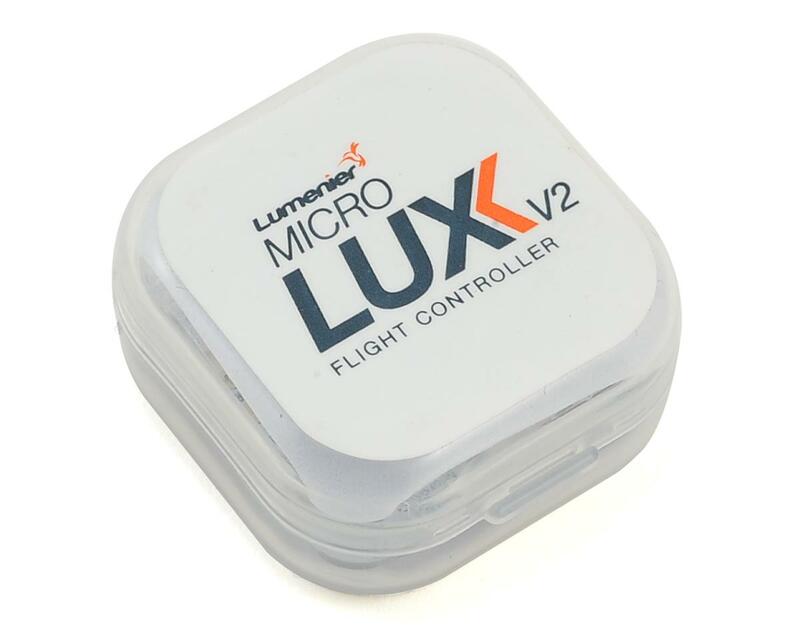 The Lumenier MICRO LUX F4 Flight Controller brings incredible power and performance to the micro brushless world. It uses a powerful F4 processor along with top of the line hardware. Now you can get all the performance from an F4 based flight controller in a micro size! This flight controller uses 20x20mm mounting holes and a low profile design allowing for smaller airframe designs than ever before. The MICRO LUX comes with BetaFlight pre-installed. 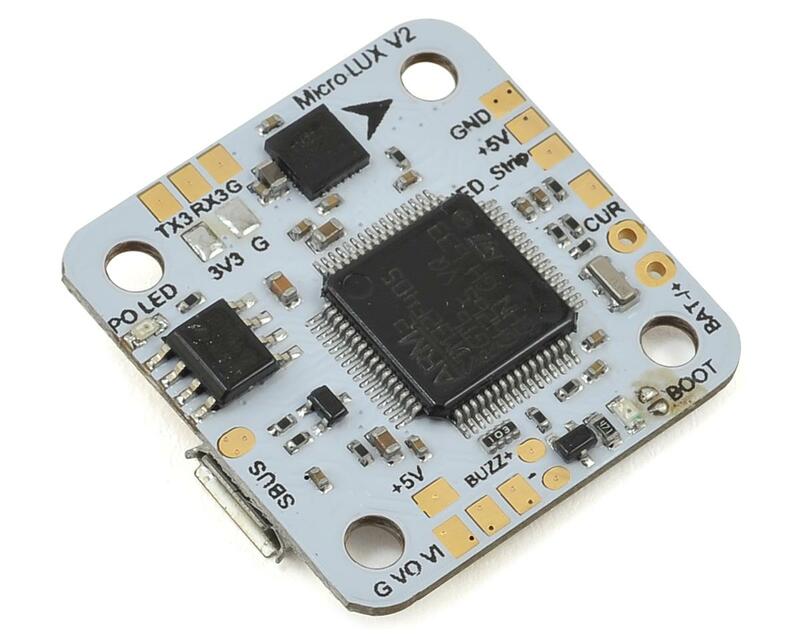 The MICRO LUX is available as a stand-alone MICRO F4 Flight Controller or with an included 8CH SBUS FrSky compatible receiver. The MICRO LUX supports both SBUS and PPM inputs as well as DSM/DSMX receivers with both 5v and 3.3v support. The V2 model now incorporates a built in OSD!